Lipikar Soothing Relief Eczema Cream is a targeted body cream for skin irritation and itching due to eczema. 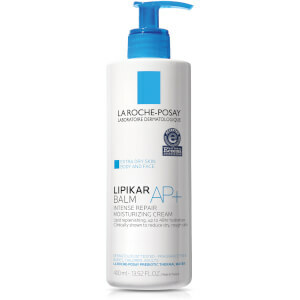 This eczema cream treatment replenishes skin's essential lipids and provides instant and long-lasting hydration. 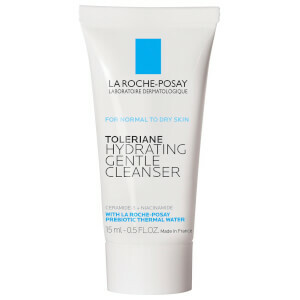 It is enriched with a high concentration of La Roche-Posay Prebiotic Thermal Water and Aqua Posae Filiformis, in a soothing, non-greasy formula that is clinically shown to relieve itchy, irritated skin and reduce the signs of eczema. This eczema cream is formulated with: 1% Colloidal Oatmeal skin protectant, to protect and help relieve skin irritation and itching due to eczema; Shea Butter and Glycerin, moisturizing agents that naturally attract water to skin; and Niacinamide, a form of vitamin B3 with soothing properties. Apply this eczema treatment to any targeted area of the body or face prone to eczema such as elbows, knees, or hands. It can be applied all over the body if needed. An eczema cream with Colloidal Oatmeal to help relieve skin irritation and Shea Butter & Glycerin to hydrate skin. Lipikar Eczema is a targeted treatment for itching, dryness, redness, roughness and scaling due to eczema. Apply to any targeted area of the body or face such as elbows, knees, or hands. Can be applied all over the body if needed. Use as a targeted treatment for eczema itching or flare-ups. Apply as needed on specific areas of the body and face such as elbows, knees, or hands. Can be applied all over the body if necessary. 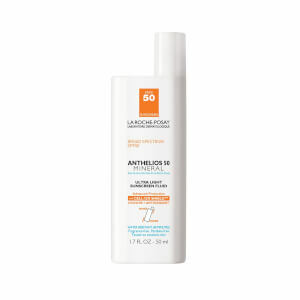 Gently massage product on skin until absorbed. 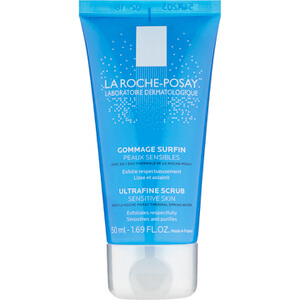 ACTIVE INGREDIENTS: Colloidal oatmeal 1% (Skin protectant). INACTIVE INGREDIENTS: Water, Shea Butter, Glycerin, Dimethicone, Mineral Oil, Niacinamide, Cetearyl Alcohol, Rapeseed Seed Oil, Ammonium Polyacryloyldimethyl Taurate, PEG-100 Stearate, Glyceryl Stearate, Tocopherol, Sodium Benzoate, PEG-20 Methyl Glucose Sesquistearate, Dimethiconol, Mannose, Xanthan Gum, Pentaerythrityl Tetra-Di-T-Butyl Hydroxyhydrocinnamate, Capryloyl Glycine, Microcrystalline Wax, Sorbitan Tristearate, Paraffin, Disodium EDTA, Vitreoscilla Ferment, Citric Acid.